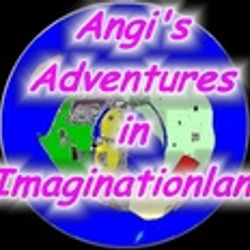 This is a website about my Web Original animated series, Angi's Adventures in Imaginationland, an action adventure series with fantasy and comedy elements. 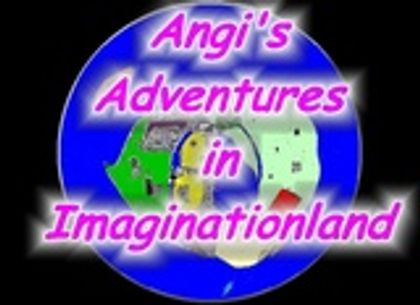 My weblog has current news about my series. Cartoon Art shows my drawings, sketches, and artwork of my series. Cartoon Videos has my Youtube and VidMe videos of animations. Important Info, Characters, and FAQ have more information about the series as a whole, as well as info about me as a cartoonist. If you want to get in contact with me, use the form on the Important Info page. If you ever want merchandise, my CafePress, Redbubble, and Webs stores have plenty of stuff you can buy. Special events and releases will be posted on Exhibitions, with the dates of said events and releases posted on the Calendar. Discussions about various things surrounding the series can be found on the Forums and my Discord server. Some other things I do and like can be found on the Links page. Finally, I have a Guestbook if you want to leave a comment. Definition: The art or process of learning while asleep by means of lessons recorded on disk or tapes. Free Sound Effects Download thousands of free sound effects from PartnersInRhyme.com. I use it for stock music and sound effects.